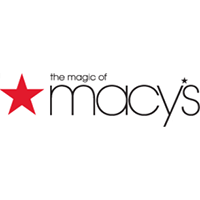 ● Macy’s usually offers storewide discounts in the form of 15-20% savings. Also check for sales right after the winter or summer season, when discounts can climb up to 75%. ● Free shipping is offered on purchases of $99 or more, every day. No minimum purchase or coupon code is required. This offer applies only to US shipments. ● Active promo codes and current online specials are featured on the main section of the homepage. You’ll also find in-store savings passes directly under this section. ● Scroll down the homepage to find exclusive sale events on featured categories. Savings average 20-40% for category sales. ● Be on the lookout for the annual Friends and Family sale, which typically showcases Macy’s biggest discounts of the year. This usually happens in spring. Macy's is a department store that carries clothing for women, men, and kids. They also have an extensive collection of accessories, bed and bath items, and shoes. Using their fashion guides (at the top of the home page) can be a great way to find the trendiest items for the upcoming season. You can also review the sales that they have displayed on the front page of the site where you may be able to get up to 75% off of select merchandise. At times they may also offer coupons that you can print out and use in store, such as 10% off of your entire purchase. For most up to date offers check out Macy’s on Facebook and Twitter or contact Macy’s Support for any questions.